Pink lady | Chic first: an elegant view on beauty, fashion and lifestyle. 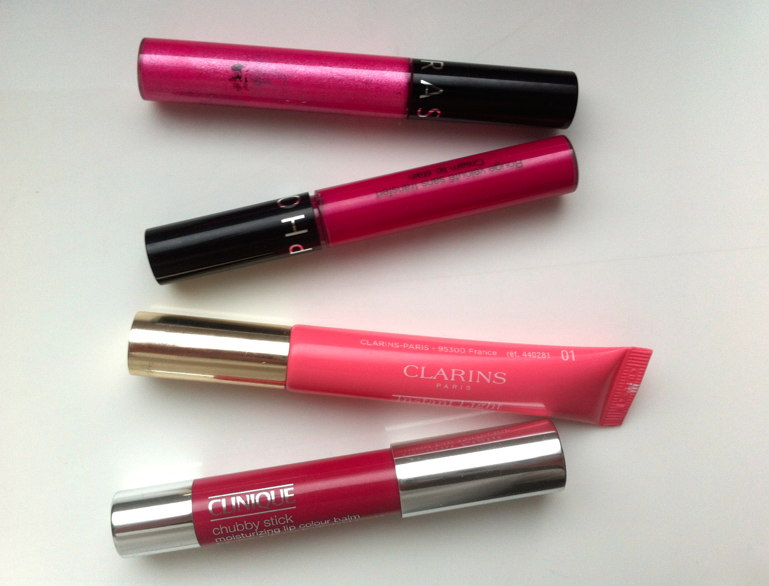 Influenced by the recent Valentine’s looks and the incoming spring time, last week I’ve been taking out of my arsenal the most pinkish lip balms, sticks and liquid stains I have. Considering the weather conditions and the wintery trends ruling still, they were mostly ‘cool’ or lightly fuchsia pinks , because I find them extremely chic with a dramatic smokey eye and I prefer to wear peachy and coral pinks in late spring or summer. Having green eyes, I noticed that pink is the kind of color that better helps them to naturally pop out, without having to wear much make up. Now, after a series of posts covering high end lipsticks and brands, such as Tom Ford, Bobbi Brown and Dior, it’s the turn of more affordable but chic solutions. Clinique, Clarins and Sephora have gems in their ranges and the products you see in this post are definitely among them! If you’re looking for an understated pink, or you’re not the kind to wear candy colors, try a lip balm, such as the Clinique Chubby Stick in #07 Super Strawberry. Whenever I apply this, I feel there’s no need to cover up with a lipstick or a darker color: it’s sheer, but tinted enough to stand alone. And lips feel plump and nourished. 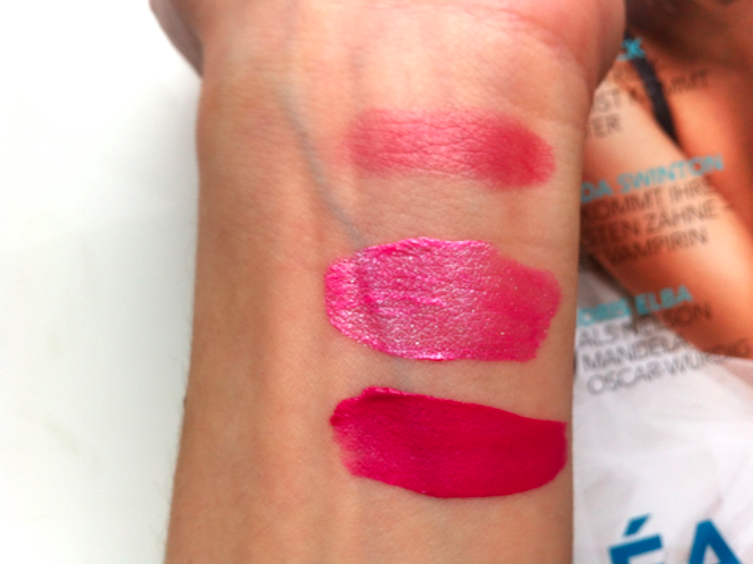 Coming to more pigmented products, I have to suggest two liquid lipsticks from Sephora. They’re called Cream Lip Stain and the shades in the picture are #07 Cherry Blossom and #08 Whipped Blush. They’re probably the most long lasting product I’ve ever tried. Once applied, they dry quite soon and reveal a perfectly matte color that stays untouched, for hours, even though you eat, drink, speak, kiss. They offer a very high-coverage for a stunning color, but the feeling is soft and comfortable. If I had to suggest a pink to wear in the evening or for a party, it would be for sure one of the two. #08 Whipped Blush really remembers of a shimmery and elegant pink blush. #07 Cherry Blossom is a matte and bold pink. This entry was posted in Beauty, Fall/Winter, Make up, Shopping, Spring/Summer and tagged beauty, chic, chifirst, Clarins, Clinique, lip stain, lipstick, Make up, Sephora. Bookmark the permalink. Nice post and lovely pictures. Very helpful. Does the Sephora one dry out your lips throughout the day? ?